My blueberry scone recipe is one that I modified into my own by reading 4-6 recipes online and ensuring I had the right amount of leavening agents for flour and just went with it. Luckily, they turned out great. Mix first 7 ingredients together well in a medium bowl. Add butter and oil to first 7 ingredients. Stir with a fork, wire whisk or mixer until crumbly. Add 3/4 cup milk and berries to bowl. in a small bowl combine last 3 ingredients. Mix well and add to batter. Stir together until just moist. Do not over mix the batter, this will negatively affect the quality of the scones by making them tougher and denser. Plop batter onto cookie sheet. press down until it’s about 1-2 inches thick. Cut the circle of batter into wedges. Spread wedges on baking sheet and bake in over for 18-22 minutes. Bake enough to eat for that meal and a few days of leftovers and freeze the rest to bake another day from frozen. Scones are best served hot with butter, jam, and cheese or with eggs and fruit. Lightly brush scones with milk before baking for improved browning. Serve hot or cold with breakfast. They can be served with a pumpkin glaze, butter or fresh cream. The best scones I’ve ever baked and perhaps ever had. Previous Post Is it unethical for dietitians to sell supplements? Thanks! Hope you try them out like this or with your own flour combination. They look good but the image is too small to read and I can’t seem to get it to enlarge. 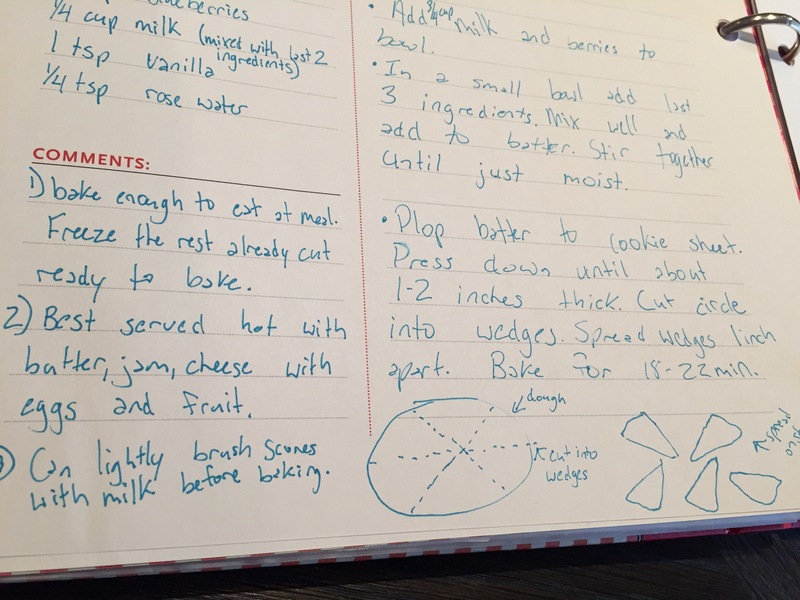 It would be helpful if you made it so the image could be expanded to a better reading size, or if you typed out the recipe in the post. Getting on that RIGHT AWAY! Thanks for the feedback Lauren.